Reading to babies helps them learn the sound of language, begin to recognize words and expose them to new concepts and ideas. 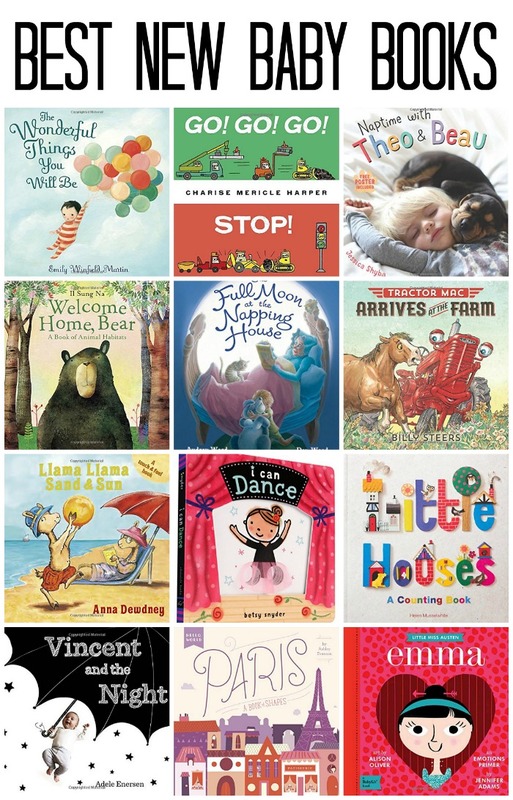 In 2015, there were a lot of new books that came out for babies! But here are my top recommendations for any new mom looking for the best new baby books. You can find the best new books for babies of 2015 at your local library or purchase through the affiliate links provided for your convenience. Don’t miss out on other Best New Children’s Books for Kids, all broken down by age group through high school! 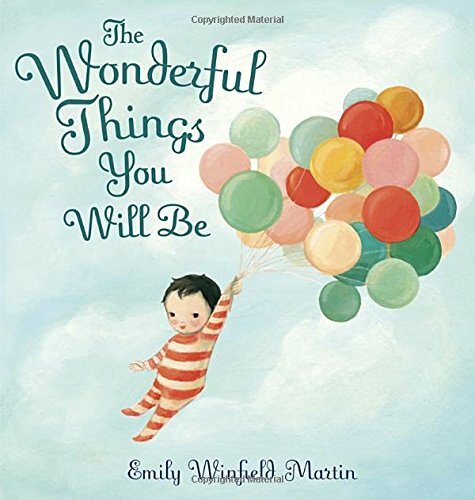 The Wonderful Things You Will Be: From brave and bold to creative and clever, the rhythmic rhyme expresses all the loving things that parents think of when they look at their children. With beautiful, and sometimes humorous, illustrations, and a clever gatefold with kids in costumes, this is a book grown-ups will love reading over and over to kids—both young and old. A great gift for any occasion, but a special stand-out for baby showers, birthdays, and graduation. The Wonderful Things You Will Be has a loving and truthful message that will endure for lifetimes. Go! Go! Go! Stop! : One day Little Green rolls into town and says his first word: “Go!” The town is building a bridge, and now everyone has a job to do, from dump truck to forklift. Little Green helps them do their jobs with gusto. Until . . . there is a little too much gusto. They can go, go, go . . . but how will they stop? 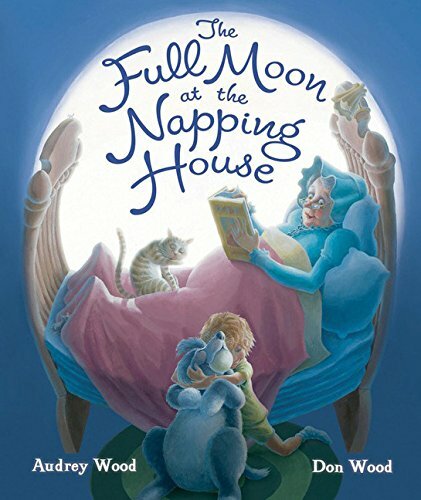 The Full Moon at the Napping House: In the wide-awake bed in the full-moon house, everyone is restless! The moonlight is pouring in and no one can get to sleep: not Granny, her grandchild, the dog, the cat, or even a mouse. It’s not until a tiny musical visitor offers up a soothing song does the menagerie settle down, and finally everyone is off to dreamland. Paris: A Book of Shapes (Hello, World): Introducing Hello, World, an exciting new board book series that pairs early learning concepts with colorful, stylish illustrations of cities around the world. Paris is a treasure trove of fascinating shapes: there are triangles at the Louvre Museum, rectangles at Notre-Dame Cathedral, arches at the Arc de Triomphe, and stars in a beautiful Parisian night sky. 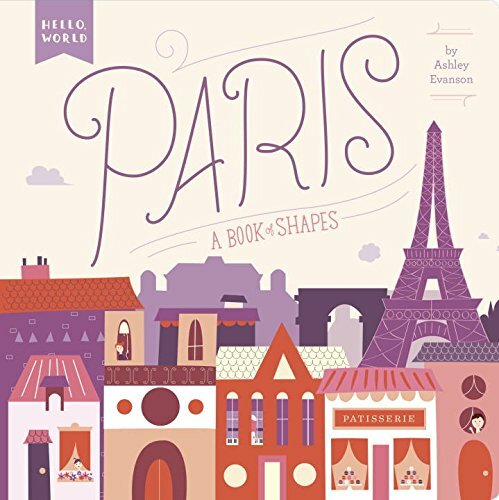 Explore shapes all over Paris in this gorgeous board book! 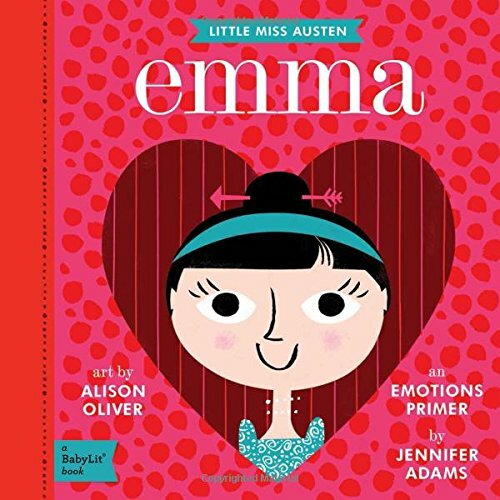 Emma: A BabyLit® Emotions Primer (BabyLit Books): Step into the drama filled world of Jane Austin’s Emma: A BabyLit Emotions Primer. Your little one will learn about the meddling Emma Woodhouse, who takes it upon herself to become the village matchmaker, creating all sorts of feelings in others. Her friend’s emotions include Mr. Elton being angry, Miss Taylor becoming happy, while Jane Fairfax is tired. Baby Penguins Love their Mama: When you’re a mama penguin with lots (and lots) of little ones to take care of, the days can melt together in a blur. Monday: swimming lessons. Tuesday: sliding. Wednesday: waddling. And on and on. Mama loves her babies so much. Do they know, she wonders, just how much? As it turns out, they do–because they love her just as much! And to show it, they surprise her with a thoughtful gesture of their own on Sunday. In her companion to Baby Penguins Everywhere! 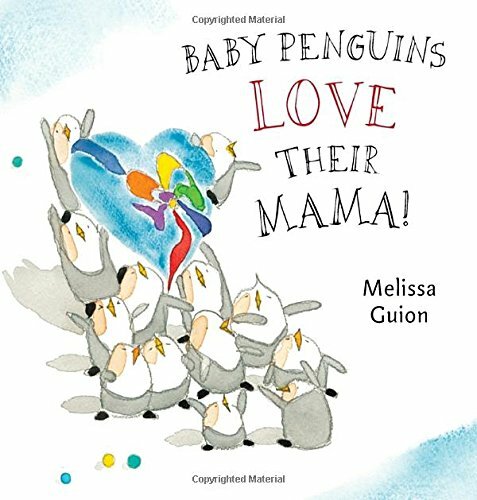 Melissa Guion offers another adorable book, perfect for teaching the days of the week and for sharing between moms and their little ones. 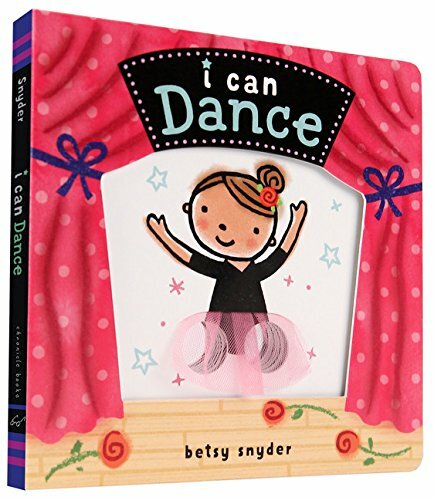 I Can Dance: Readers make dancers disco, tap, or pirouette just by wiggling their fingers. But wait! There’s even more fun. In an impressive gatefold finale, readers use two sets of hands to help the dancers perform an encore. With interactive holes on every page and a satisfying touch-and-feel cover, this charming board book is the perfect way to play and read together. 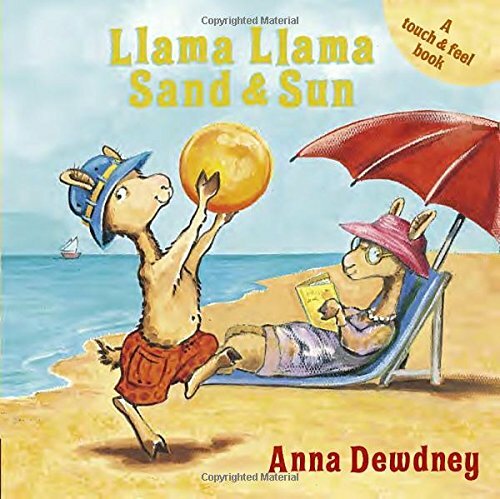 Llama Llama Sand and Sun: Read along with Llama Llama as he splashes in the waves and plays in the sand in this brand-new touch-and-feel board book full of interactive elements! 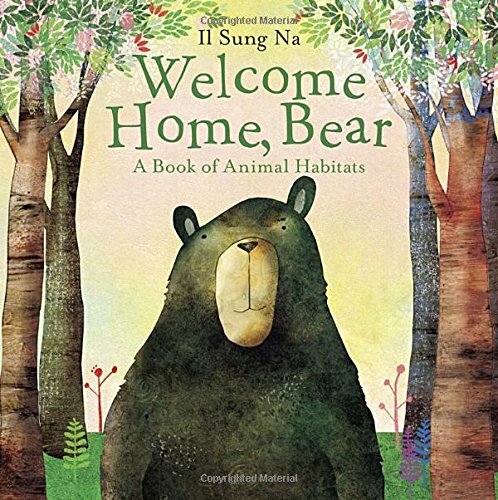 Welcome Home, Bear: A Book of Animal Habitats: Bear is tired of waking up every morning in the same green forest, so he decides to search for a new place to live. He visits the birds in the trees, a mole underground, a camel in the hot desert sand, puffins in the cold arctic snow . . . only to realize his own home is the perfect place for him after all. Welcome Home, Bear offers rich illustrations, bright colors, and a simple, spare text—all wrapped up in a beautiful, kid-friendly package. Readers meet animals in their habitats around the world—and return with Bear to the one place he is truly happy. 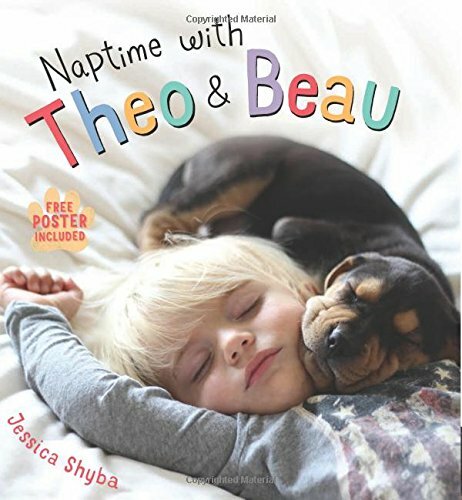 Naptime with Theo and Beau: By faithfully recording and sharing what Good Morning America calls “the most mesmerizing naps ever caught on camera,” Jessica Shyba and her family captured the hearts of people all over the world, and these beautiful images of friendship and trust have become an international viral sensation. I’m Dirty! 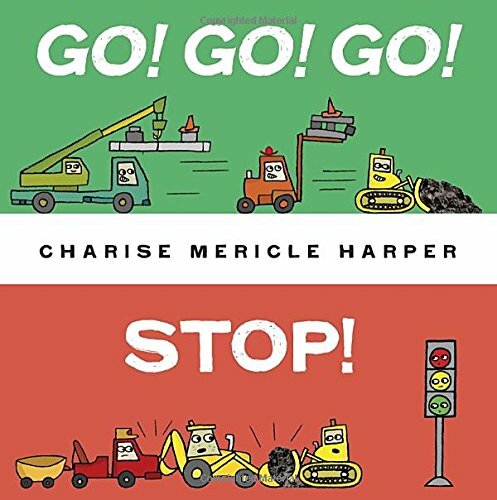 Board Book: This construction vehicle with an attitude loves every second of his dirty job! 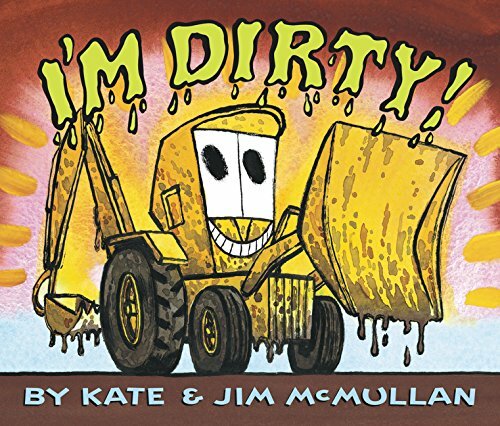 For fans of Goodnight, Goodnight, Construction Site and Steam Train, Dream Train comes a noisy addition to the hilarious read-aloud series from Kate and Jim McMullan, the popular creators of I’m Bad!and I Stink! 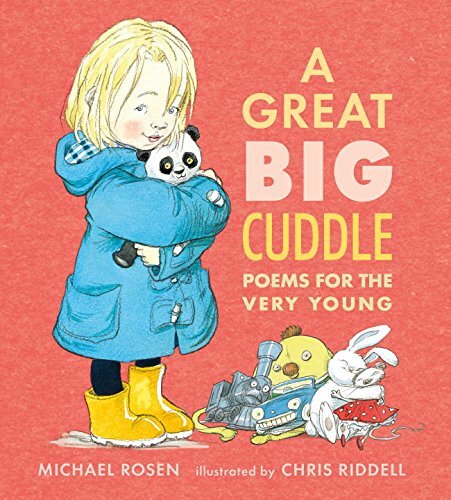 A Great Big Cuddle: Poems for the Very Young: In this exuberant compilation, Michael Rosen invites children to joyfully celebrate sounds and the infinite possibilities of language. Nonsense verses with the feel of classic nursery rhymes tickle the ear and set feet tapping while expressive illustrations by Chris Riddell illuminate the larger-than-life characters. With subject matter that runs the gamut of a child’s emotional range from hungry and angry to wiggly and giggly, these thirty-six clever poems will delight little listeners. Tractor Mac Arrives at the Farm: Sibley the horse lives on Stony Meadow Farm and is a hard worker the whole year round. Then Tractor Mac arrives at the farm, and suddenly, everything that Sibley used to do, Tractor Mac does, too. 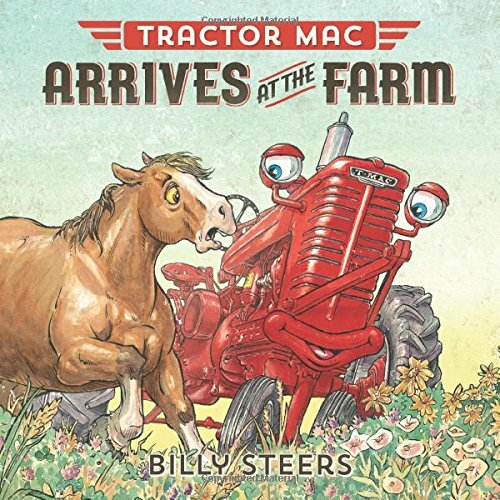 Sibley wonders if there is any room left for him―but when Farmer Bill and Tractor Mac get stuck in a soggy field, Sibley is the one who comes to their rescue, and Sibley and Tractor Mac learn that there’s plenty for both of them to do at the farm. 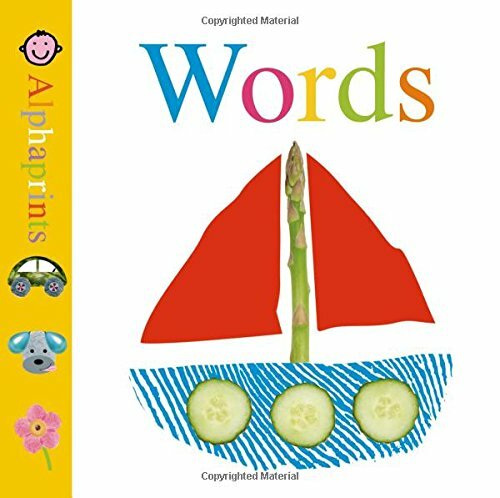 Little Alphaprints: Words: This charming board book with fantastic fingerprint pictures is a delightful and captivating way to help children learn ten key first words. Brightly colored fingerprints are turned into an apple, a dog, a boy, a flower and more by adding photographs of fun, everyday things for children to spot. With raised embossing for little fingers to reach out for and explore on every picture, Little Alphaprints: Words is a visual and tactile experience that children will want to repeat over and over again. 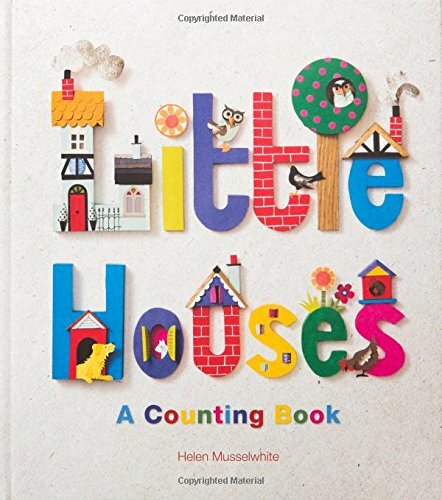 Little Houses: A Counting Book: Learn to count from one to ten with little houses around the world! Visit a variety of charming little houses around the world – right the way from one Scottish crofter’s cottage to ten terraced houses beside a canal in Amsterdam. Created by talented papercut artist Helen Musselwhite, each beautiful scene has lots of details to spot and count together. Also includes fun facts about each type of house for extra spotting fun. 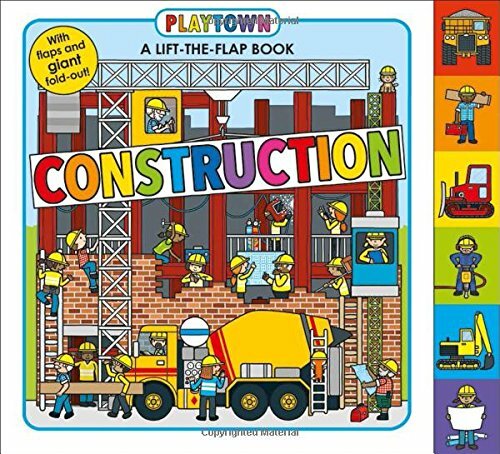 Playtown: Construction: A-Lift-the-Flap-Book: There’s a lot of building going on in Playtown! There is so much to explore, learn, and discover inside this busy, busy book – diggers are digging holes, materials are being delivered, and roads are being laid. On every page there are fun flaps to lift which tell children more about the picture above, and at the back of the book is a big page to fold out that reveals a bustling construction scene. 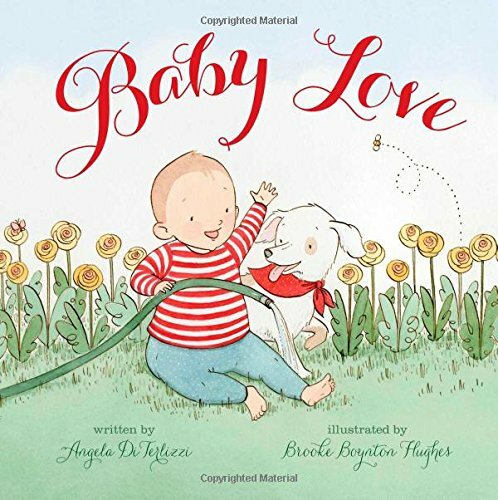 Baby Love: This cozy and cuddly picture book celebrates all the most wonderful things about babies and is perfect for reading aloud to little ones. Anyone who has ever delighted in a baby’s bright smile or darling toes will instantly connect to this adorable picture book with simple text and adorable illustrations. With just the right balance of sweetness and humor, this is a soothing ode to all the wonderful bits and pieces that make up a cuddly, snuggly baby. First Library Sesame Street: The 12-Book Sesame Street Library is a collection of three-inch-square board books designed for toddlers. 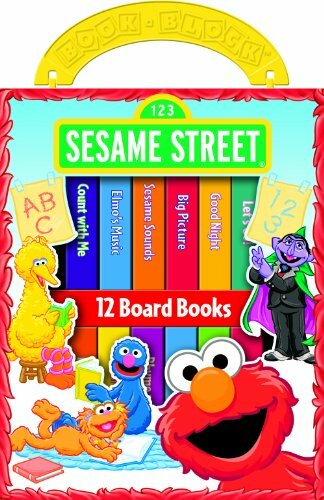 The colorful books tell simple stories about Elmo, Grover, Big Bird, and the rest of the Sesame Street gang. The stories introduce preschoolers to skills and concepts, such as counting, color recognition, shape recognition, sharing, and friendship. The 12 books fit neatly inside a brightly illustrated carrying case that has a handle and a magnetic closure. 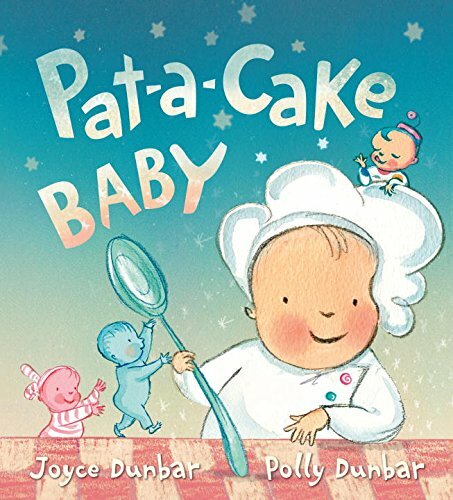 Pat-a-Cake Baby: It’s late at night, and everyone is sleeping – except for pat-a-cake baby! All dressed up in his chef’s coat and hat, baby wants to make a very special cake. Time to wake up Candy baby, Jelly baby, and Allsorts baby?—?miniature cherubic figures who float through the pages to lend a hand. One by one, they add ingredients, from glitzy sugar to yolky jokey eggs, until it’s time to bake, pat, and decorate the cake. Finally it’s ready for tasting, just in time for a special guest (the man in the moon!) to have a slice. This surreal and colorful treat is just right for sending little ones off to dreamland. 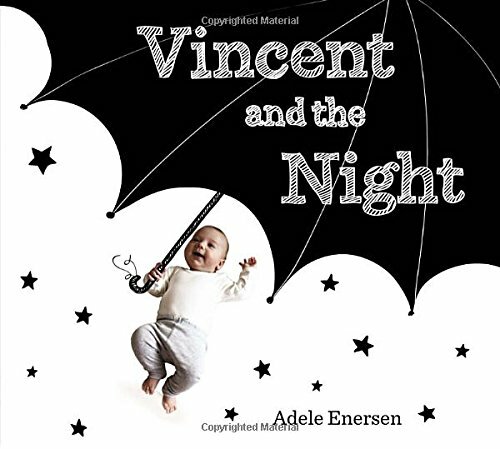 Vincent and the Night: In the tradition of Harold and the Purple Crayon, an inventive and charming bedtime story that blends whimsical art and sweet photographic touches. Vincent is a very clever boy. So when the night rolls in like a warm blanket, he unravels it and begins to play. The threads of the night become a violin, an elephant, and even a pirate ship—anything to delay bedtime. But in the end, even Vincent can’t resist resting his eyes and snuggling up in the dark. Good night, Vincent! Whether delighting in bedtime or are afraid of the dark, every child will enjoy this playful and reassuring picture book that entices even the most rambunctious little dreamers to sleep. Great great books. Thanks a lot for the list. Sign me up for the Mommy Evolution newsletter! EVOLVE OR GO BACK TO BED!